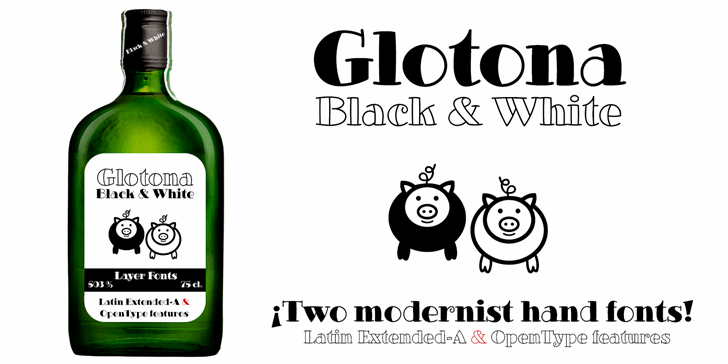 Glotona Black & White are two modernist typography handwritten and layered to create multicolored typographic titles. Glotona is my tribute to Bodoni typefaces, revolutionary when they appeared in the eighteenth century and still valid today. Glotona Black is a trademark of deFharo. Glotona White is a trademark of deFharo.